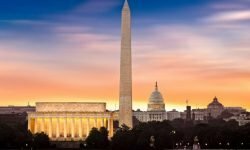 Registration is open for ALC’s 2019 Annual Conference – May 1 – 4 at the Omni Shoreham in Washington, D.C.
Slator makes business sense of the language services and technology market. © 2019 Slator. All rights reserved. Sign up for our Weekly Newsletter and Language Industry Updates Delivered Straight To Your Inbox. This information will never be shared with third parties. No Spam.